Von Steuben Day is considered to be one of the major German-American events in the United States. It is celebrated in many cities across the country on a weekend in mid-September. The largest parade is held on the third Saturday of September in New York. 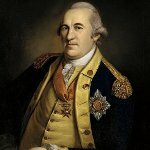 Baron Friedrich Wilhelm von Steuben was a Prussian-born military officer. During the American Revolutionary War, he arrived at the military camp in Valley Forge, Pennsylvania and reported for duty as a volunteer. He served as inspector general of the Continental Army, and as George Washington's chief of staff in the final years of the war. Due to contribution to the declaration of independence of the United States, he is regarded as one of the most important German Americans. The first German-American Von Steuben Parade was held in New York in 1957. It was founded by German Americans who wanted to preserve their traditions and heritage. Since then many cities throughout the country have started to celebrate Von Steuben Day, but the annual parade on Fifth Avenue in New York City still attracts the largest crowds. After the parade, an Oktoberfest-style celebration in Central Park takes place. It is the largest beer fest in New York, featuring many German beer brands, as well as bratwurst and other traditional German food.